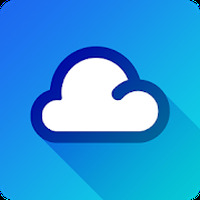 "Check what the weather will be every day"
App description: 1Weather is a utility application that displays the weather conditions on your mobile device. Recommendations: For those who need or like to follow weather forecasts. Developer: OneLouder Apps is based in United States	- Developer recommended by Android Market. Installation requirements: A minimum of 15.81 MB of free memory space and Android OS which Varies with device. Rating: The TOP 1 Most popular Apps in Radar Animation category. Ranking: The TOP 5 Most downloaded applications in Radar Animation category. Reports the relative humidity and air quality. Several ways to share forecasts. Meteorological alerts are only available in the U.S. and Canada. Do you like 1Weather:Widget Forecast Radar? Works well on Gs4 Excellent app!!!! A cool radar to give you detailed weather information! Keep track of weather info in real time! Get daily and hourly weather forecasts at a glance.